I apologize for the idiot who is the only person to upload the intro for this game. Here's the trailer. This game was the good stuff back in the day. Sadly it wasn't that popular but it still is fun to play from time to time. Soon i'll give you guys all of the cars. But for now, here's the song from the trailer...and holy crap it's gud! is Microsoft really part of the game's name? sajmon14 wrote is Microsoft really part of the game's name? 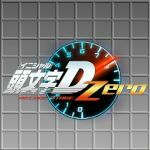 Please get the demo if you'd like! This game was really great. It has also some WCW/NWO Trucks in it, like Hollywood Hogan, The Outsiders, Bret "Hitman" Hart and Sting. Also all other important trucks were in. Very great game for that time. 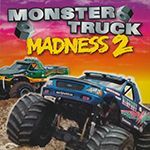 I remember on YouTube I used to watch this game all the time... and it has mods like crazy too so I've seen videos with trucks like real Monster Jam trucks as well as real tracks used in the Monster Jam tour. Sorry if I haven't uploaded any screenshots, I will upload some soon. EDIT: thanks JFK, I don't mind you adding the images for me as I can't render the game in hardware mode.